Did You Know That We Lost 15,000 Trees in Hurricane Sandy? Take the Pledge. Plant five trees in your yard over the next 5 years. If five seems like too many, plant whatever you can. Ask Your Neighbors to Take the Pledge. Share the spirit and help beautify your neighborhood. Tell Us About Your Tree Planting. Keep the Township informed as we track our progress toward 5,000 new trees in Bernards Township. Click here to fill out a questionnaire and send us a photo at ShadeTree@bernards.org. Make a Donation. 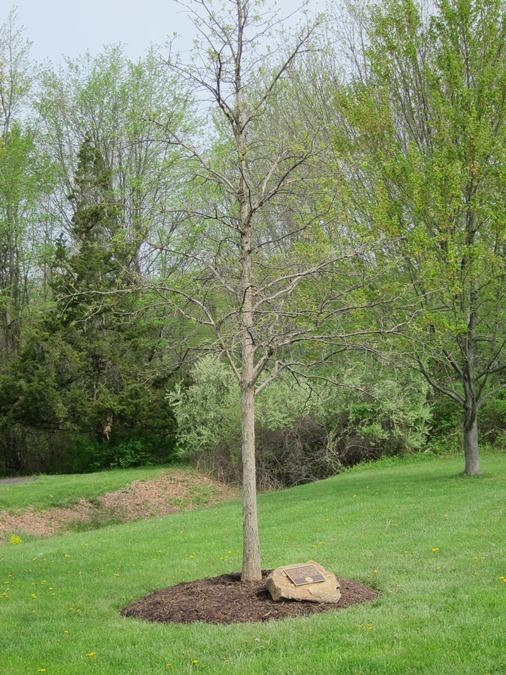 If adding trees on your own property is not in your plans, make a contribution to support planting on public spaces in Bernards Township. Checks should be payable to "Bernards Township." Get Involved. Help a civic group working on a public planting project, suggest a public planting project or identify a worthy site. We'd love to hear from you with your ideas and support. 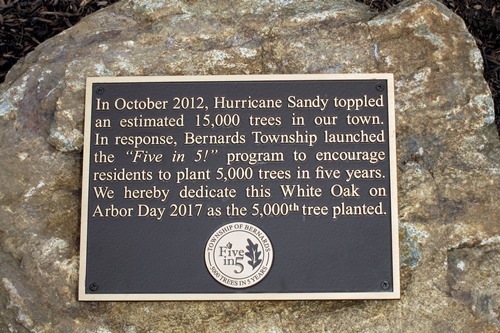 Bernards Township desires to maintain and promote a healthy, safe and sustainable shade tree resource that will physically and aesthetically benefit the community and its residents in the most cost effective manner possible. Develop Bernards Township's shade tree resource and introduce a diversity of trees and shrubbery that will provide for long term coverage of public lands, parks and recreation areas. Establish an ongoing maintenance program for the trees along township rights-of-way and coordinate with county, state and utility company maintenance divisions to ensure that their procedures are compatible with ours. Inventory tree resources on all local, county and state roads, lands and parks. Revise tree ordinances as necessary to define responsibility for maintenance, removal and replacement. Educate the public about trees and their importance to the entire community. Identify hazardous trees, develop and implement a plan to remediate hazardous tree conditions. Ensure that the goals of the Community Forestry Management Plan are compatible with the Master Plan and Open Space and Recreation Plan. Expand the educational opportunities and training for Shade Tree Commission Members and Public Works Employees. 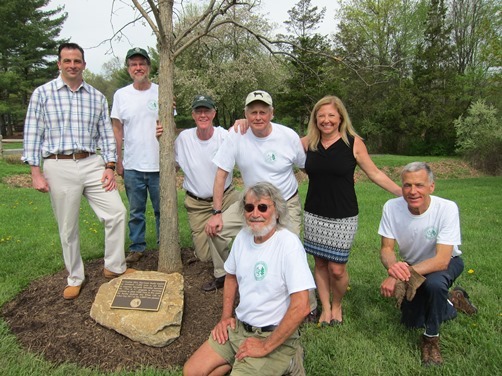 Bernards Township has been named as a Tree City USA by the National Arbor Day Foundation to honor its commitment to community forestry. Find out more about what it means to be a Tree City USA. Plant a Tree in Six Easy Steps!